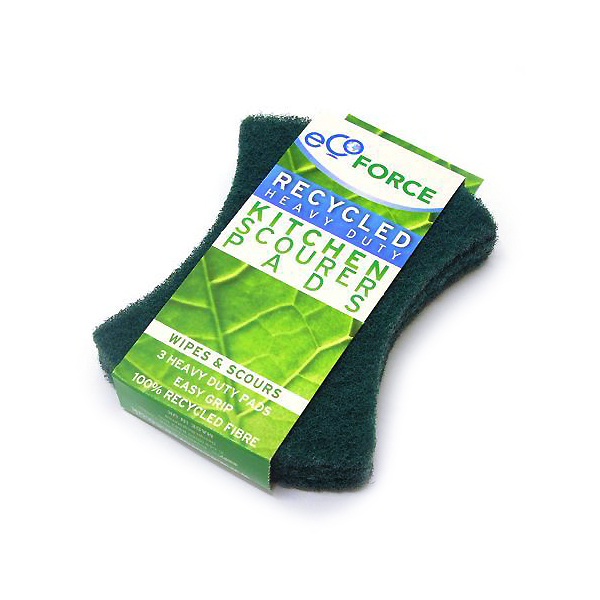 EcoForce Recycled Plastic Heavy Duty Kitchen Scourer Pads are made from a mixture of pre and post consumer waste. The pads are ideal for cleaning tough baked on messes making tough jobs fast and easy. Their key features are: heavy duty and contoured for easy grip. Made with 97% Recycled Plastic Fibre. EcoForce uses recycled material to make Recycled Heavy Duty Kitchen Scourers helps to reduce landfill, saves energy and allows crop land to be used for food production. 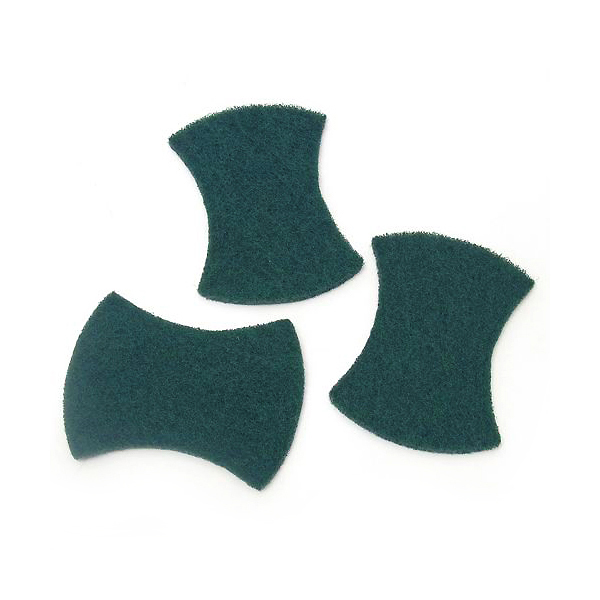 Perfect for everyday use, these eco friendly scouring pads come in a handy pack of three and are ideal for clearing up messes in your home without causing excess harm to the environment. 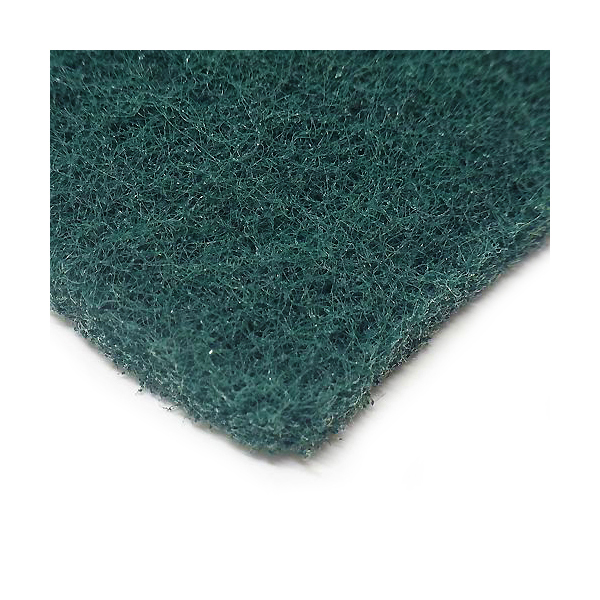 Made from heavy duty fibres and part of a range of eco friendly products, use our scourers to wipe surfaces and clean burnt on marks or greasy food residue on your pots and pans. Use wet with your favorite washing up liquid or cleaner. DO NOT use on non scratch or delicate surface.